A few days back Sony launched a dual SIM supported gadget named Xperia M4. Now it again came up with another dual SIM supported handset. This time the new model hits the Indian markets first. New model lines up with a name of Xperia C4. The new handset will be available for sales in market by the next month. So far no information regarding the pricing of the gadget is available. The price details are expected to be known soon. The company gives three variant colours for the customers and is Black, White and Mint. 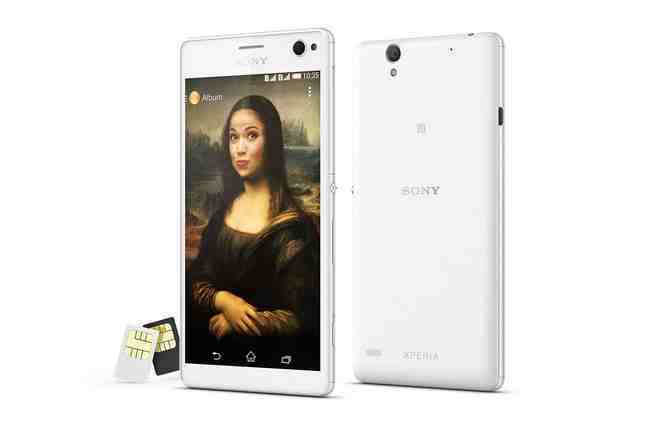 Sony introduced Xperia C4 to satisfy those selfie lovers who would like to have some exciting snaps with their loved ones, those who want to have snaps of their party nights, those who want certain snaps with elegant natural beauty as their background and so on. With the front snapper with 5MP coupled with the features of LED flash all these are possible. The front snapper is also supported with wide angled lens and various other software enhancements. The main camera is loaded with 13MP along with auto focus and supported with LED flash. Physical dimension of the handset measures to be 150.3*77.4*7.9mm, with a weight of 147 grams. Display is 5.5 inches wide measuring from edge to edge with a screen resolution of 1080*1920 pixels. Octa Core processor manufactured by MediaTek with model number MT6752 powers the device. The processing speed comes to be 1.7GHz. The processor is supported by a RAM of 2GB. The internal memory comes to be 16GB. This can be enhanced to 128GB with the help of an external microSD memory card. The device is packed with Android Operating System of version 5.0. Gadget can be connected with WiFi with a bandwidth of 802.11b/g/n. The phone also supports GPS connectivity. Bluetooth connectivity is also presented in the handset with the version of 4.10. Again the handset is compatible to NFC and DLNA connectivity. Xperia C4 supports headset with a jack of 3.5mm. It also supports FM and micro USB connectivity also. The network connectivity is supported by Dual SIM feature. Both the SIM cards is of make regular type, GSM model with 3G connectivity. Handset can be charged with the help of micro USB slot. The battery capacity comes to be 2600mAh. This power is approximately enough to hold the handset live for round the day. Handset is also packed with certain types of sensors for the aid of user. Handset has an in-built Compass or Magnetometer. It also has an Accelerometer along with an Ambient Light Sensor and Gyroscope.